Well, we were expecting to see some snow down in Tierra del Fuego; but we weren’t expecting to see quite this much! 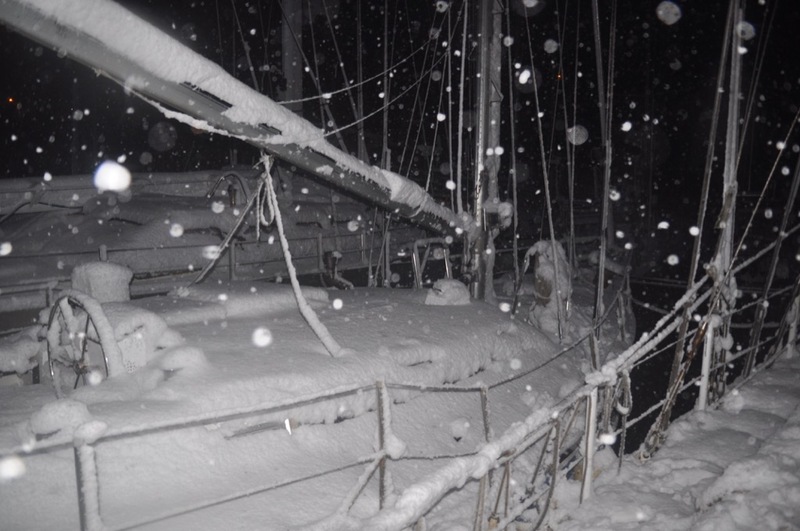 Mind you, we didn’t even know that it was snowing until we went on deck. 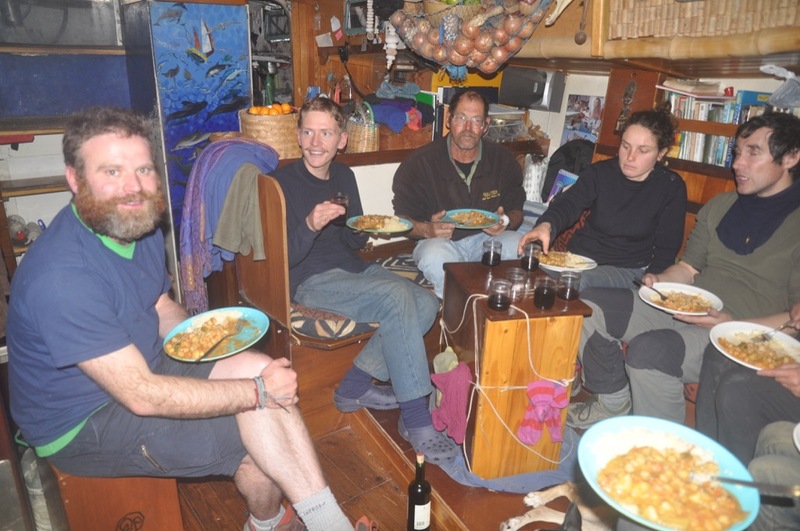 Some of the people from the neighbouring boats had joined us for supper, and we were all snug and cosy in the cabin. That’s an Irish fellow by the name of Fiacra in the foreground. Notice that he’s actually wearing shorts! 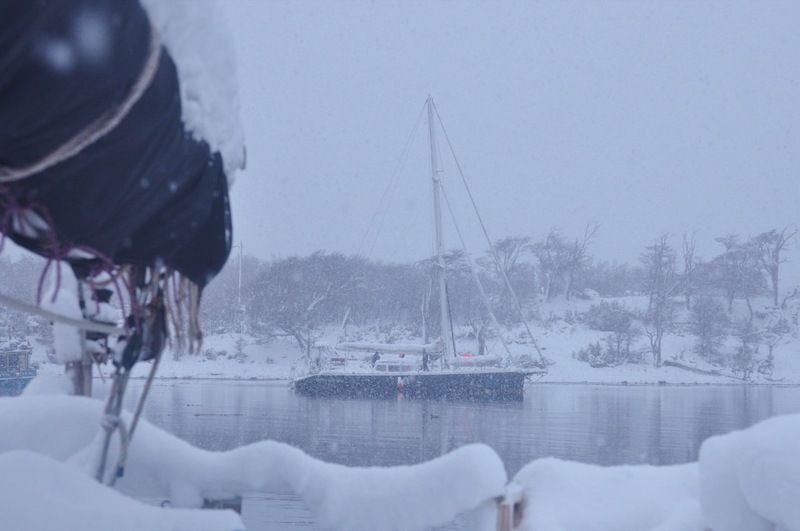 Our little wood-burning stove certainly does a good job of keeping the cabin warm. 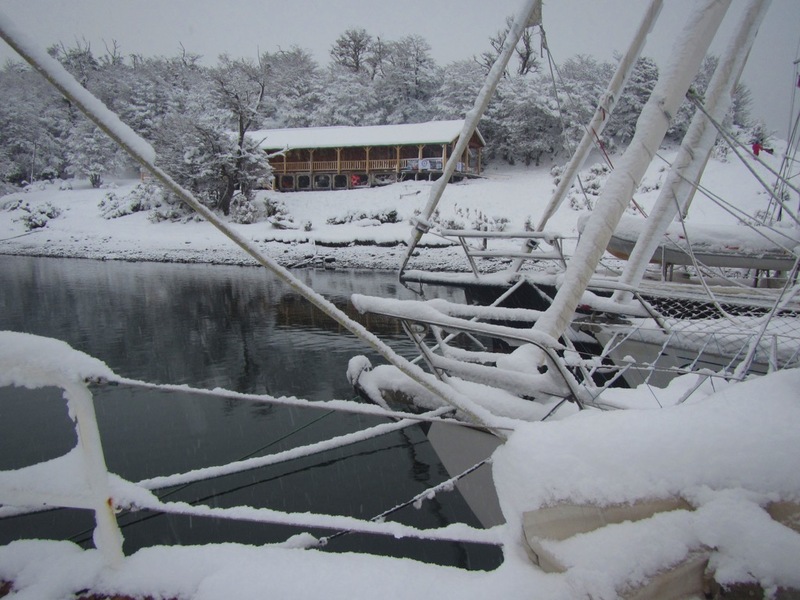 This is what the marina looked like in the morning. That’s the chimney from the wood-burning stove peeping up from amongst the snow on Mollymawk‘s deck. It looks as if its been melting the snow, but actually it’s very well insulated. 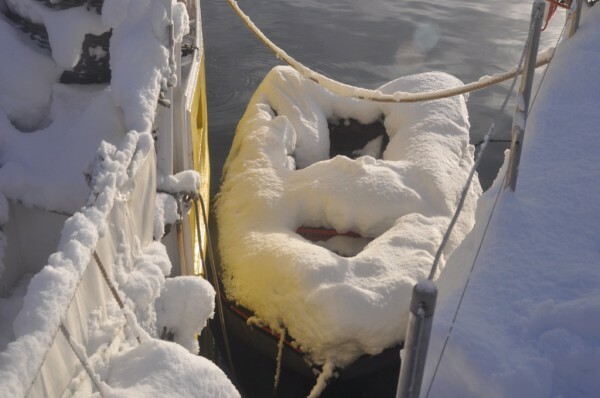 The snow has piled up on the dinghy and on the hatches. Even the dinghy is snowed under! 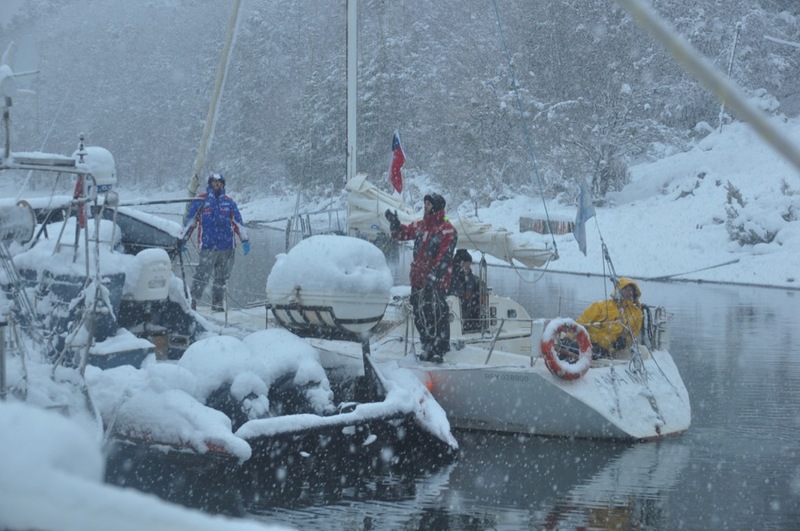 But a little bit of snow doesn’t stop the Chileans and Argentinians from going sailing. 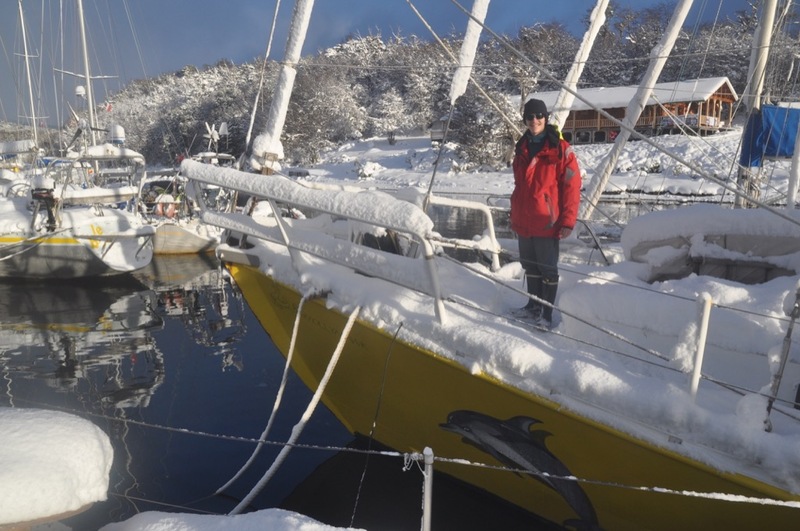 This is Alejandro “El Mono” da Milano, one of Argentina’s most famous yachtsmen, setting out for Ushuaia. 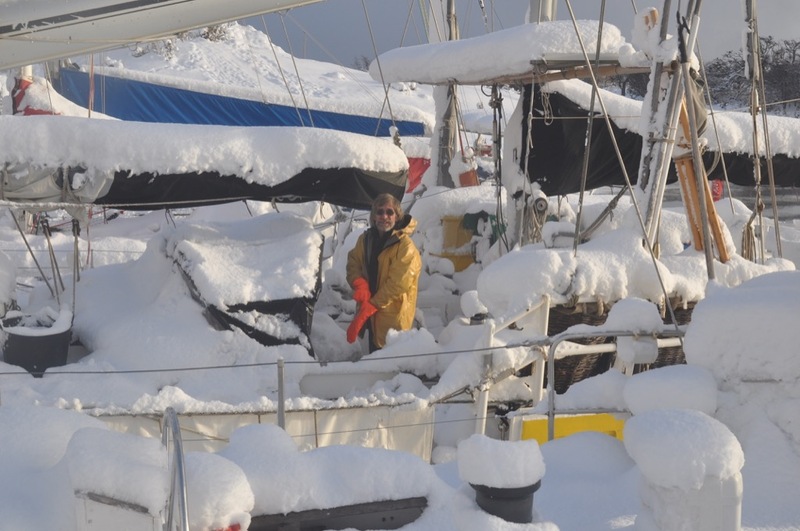 Meanwhile, here’s Nick, getting ready to clear our decks so that we can also put to sea. 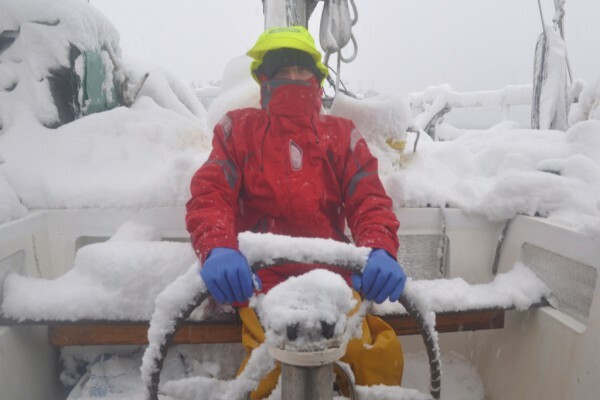 Look at that pile of snow on the solar panels (above Nick’s head); and look at the way it’s built up on the taff rail, around the aft deck! 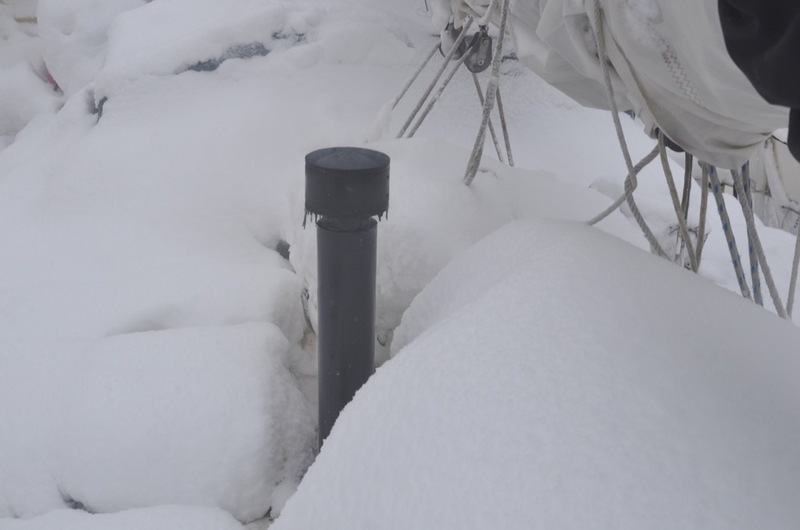 That rail is just 2” in diameter, but the bundle of snow balanced atop it is more than 12” thick! Ready to cast off the lines, Caesar? 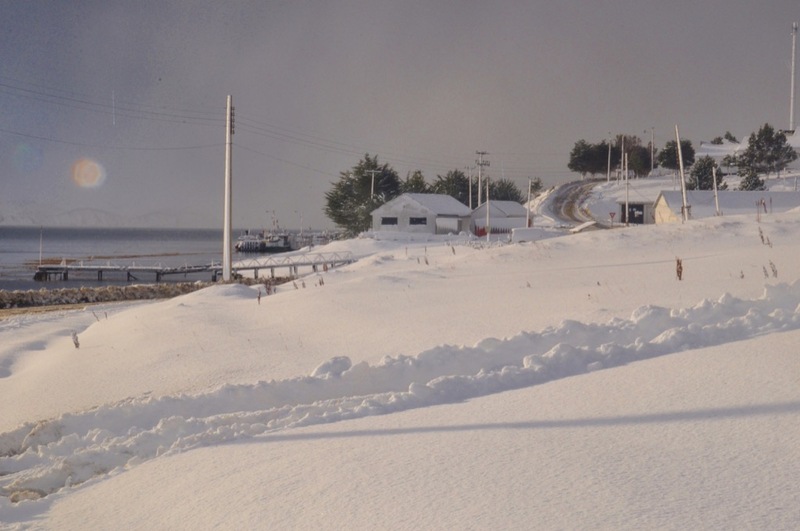 And after all, what’s a little bit of snow, eh? 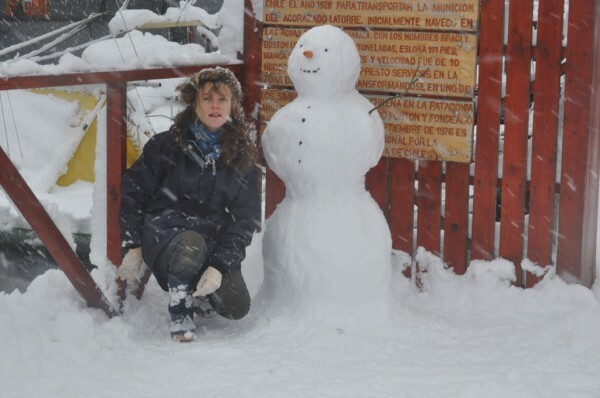 Then again, when you’ve never seen snow (or at any rate, not since you were too small to remember) perhaps it makes more sense to stick around and grab the chance to play with the stuff.